In- and out-of-plane longitudinal acoustic-wave velocities and elastic moduli in h-BN from Brillouin scattering measurements - RJ. Jimenez-Rioboo, L. Artus, R. Cusco, T. Taniguchi, G. Cassabois, B. Gil, Appl Phys Lett 112, 051905 (2018). Evidencing early pyrochlore formation in rare-earth doped TiO2 nanocrystals: Structure sensing via VIS and NIR Er3+ light emission - I. Camps, M. Borlaf, J. Toudert, A. de Andres, M. T. Colomer, R. Moreno, R. Serna, J Alloy Compd 735, 2267 (2018). High-temperature air-stable solar selective coating based on MoSi2-Si3N4 composite - Adrian Rodriguez-Palomo, Eva. Cespedes, David Hernandez-Pinilla, Carlos Prieto, Sol Energ Mat Sol C 174, 50 (2018). Structural evolution of a Ge-substituted SnSe thermoelectric material with low thermal conductivity - Federico Serrano-Sanchez, Norbert M. Nemes, Jose Luis Martinez, Oscar Juan-Dura, Marco Antonio de la Torre, Maria Teresa Fernandez-Diaz, Jose Antonio Alonso, J Appl Crystallogr 51, 337 (2018). Efficient Heterostructures for Combined Interference and Plasmon Resonance Raman Amplification - L. Alvarez-Fraga, E. Climent-Pascual, M. Aguilar-Pujol, R. Ramirez-Jimenez, F. Jimenez-Villacorta, C. Prieto, A. de Andres, Acs Appl. Mater. Interfaces 9, 4119 (2017). Synthesis and properties of Nd-doped oxynitride phosphate laser glasses - F. Munoz, A. Saitoh, RJ. Jimenez-Rioboo, R. Balda, J Non-cryst Solids 473, 125 (2017). Predicting the suitability of aqueous solutions of deep eutectic solvents for preparation of co-continuous porous carbons via spinodal decomposition p - E. Posada, N. Lopez-Salas, D. Carriazo, MA. Munoz-Marquez, CO. Ania, RJ. Jimenez-Rioboo, MC. Gutierrez, ML. Ferrer, F. del Monte, Carbon 123, 536 (2017). Reline aqueous solutions behaving as liquid mixtures of H-bonded co-solvents: microphase segregation and formation of co-continuous structures as indi - E. Posada, N. Lopez-Salas, RJJ. Rioboo, ML. Ferrer, MC. Gutierrez, F. del Monte, Phys Chem Chem Phys 19, 17103 (2017). Photochemical solution deposition of beta-Bi2O3 thin films - D. Perez-Mezcua, I. Bretos, R. Jimenez, J. Ricote, RJ. Jimenez-Rioboo, CG. da Silva, D. Chateigner, L. Fuentes-Cobas, R. Sirera, ML. Calzada, J Sol-gel Sci Techn 81, 355 (2017). Ultrasmooth metal thin films on curved fused silica by laser polishing - Gloria Anemone, Christian Weingarten, Amjad Al Taleb, Carlos Prieto, Daniel Farias, Appl Phys Lett 111, 181602 (2017). Nanocrystalline cubic ruthenium carbide formation in the synthesis of graphene on ruthenium ultrathin films - Felix Jimenez-Villacorta, Leo. Alvarez-Fraga, Javier Bartolome, Esteban Climent-Pascual, Eduardo Salas-Colera, Montserrat X. Aguilar-Pujol, Rafael Ramirez-Jimenez, Ana. Cremades, Carlos Prieto, Alicia de Andres, J Mater Chem C 5, 10260 (2017). Raman characterization and photoluminescence properties of La1-xTbxPO4 center dot nH(2)O and La1-xTbxPO4 phosphor nanorods prepared by microwave -assi - M. T. Colomer, J. Bartolome, A. L. Ortiz, A. de Andres, Ceram Int 43, 10840 (2017). Thermoelectric functionality of Ca3Co4O9 epitaxial thin films on yttria-stabilized zirconia crystalline substrate - A. Perez-Rivero, M. Cabero, M. Varela, R. Ramirez-Jimenez, F. J. Mompean, J. Santamaria, J. L. Martinez, C. Prieto, J Alloy Compd 710, 151 (2017). Oxidation Mechanisms of Copper under Graphene: The Role of Oxygen Encapsulation - Leo. Alvarez-Fraga, Juan Rubio-Zuazo, Felix Jimenez-Villacorta, Esteban Climent-Pascual, Rafael Ramirez-Jimenez, Carlos Prieto, Alicia de Andres, Chem Mater 29, 3257 (2017). Extra-low thermal conductivity in unfilled CoSb3-delta skutterudite synthesized under high-pressure conditions - J. Prado-Gonjal, F. Serrano-Sanchez, N. M. Nemes, O. J. Dura, J. L. Martinez, M. T. Fernandez-Diaz, F. Fauth, J. A. Alonso, Appl Phys Lett 111, 083902 (2017). Enhanced figure of merit in nanostructured (Bi,Sb)(2)Te-3 with optimized composition, prepared by a straightforward arc-melting procedure - F. Serrano-Sanchez, M. Gharsallah, N. M. Nemes, N. Biskup, M. Varela, J. L. Martinez, M. T. Fernandez-Diaz, J. A. Alonso, Scientific Reports 7, 6277 (2017). Influence of Doping and Nanostructuration on n-Type Bi-2(Te0.8Se0.2)(3) Alloys Synthesized by Arc Melting - Mouna Gharsallah, Federico Serrano-Sanchez, Norbert M. Nemes, Jose Luis Martinez, Jose Antonio Alonso, Nanoscale Res Lett 12, 47 (2017). Surface acoustic wave velocity and elastic constants of cubic GaN - RJJ. Rioboo, R. Cusco, C. Prieto, C. Kopittke, SV. Novikov, L. Artus, Appl Phys Express 9, 061001 (2016). Graphene - ultrasmall silver nanoparticle interactions and their effect on electronic transport and Raman enhancement - F. Jimenez-Villacorta, E. Climent-Pascual, R. Ramirez-Jimenez, J. Sanchez-Marcos, C. Prieto, A. de Andres, Carbon 101, 305 (2016). Chemical and Structural Characterization of Copper Adsorbed on Mosses (Bryophita) - AG. Gonzalez, F. Jimenez-Villacorta, AK. Beike, R. Reski, P. Adamo,OS. Pokrovsky, J Hazard Mater 308, 343 (2016). Na Modification of Lanthanide Doped Ca3Nb1.5Ga3.5O12-Type Laser Garnets: Czochralski Crystal Growth and Characterization - E. Castellano-Hernandez, MD. Serrano, RJJ. Rioboo, C. Cascales, C. Zaldo, A. Jezowski, PA. Loiko, Cryst Growth Des 16, 1480 (2016). Quality of Graphene on Sapphire: Long-range Order from Helium Diffraction versus Lattice Defects from Raman Spectroscopy - G. Anemone, E. Climent-Pascual, H. K. Yu,A . Al Taleb, F. Jimenez-Villacorta, C. Prieto, A. M. Wodtke, A. De Andres, D. Farias, Rsc Advances 6, 21235 (2016). Interference Enhanced Raman Effect in graphene bubbles - . R. Ramírez-Jíménez,. L. Álvarez-Fraga,. F. Jimenez-Villacorta,. E. Climent-Pascual,. C. Prieto,. A. de Andrés, Carbon 105, 556 (2016). Do two-level systems and boson peak persist or vanish in hyperaged geological glasses of amber? - T. Perez-Castaneda, RJ. Jimenez-Rioboo, MA. Ramos, Philos Mag 96, 774 (2016). Optical find of hypersonic surface acoustic waves in bulk transparent materials - RJJ. Rioboo, A. Sanchez-Sanchez, C. Prieto, Phys Rev B 94, 014313 (2016). Photochemical solution processing of films of metastable phases for flexible devices: the beta-Bi2O3 polymorph - D. Perez-Mezcua, I. Bretos, R. Jimenez, J. Ricote, RJ. Jimenez-Rioboo, CG. da Silva, D. Chateigner, L. Fuentes-Cobas, R. Sirera, ML. Calzada, Scientific Reports 6, 39561 (2016). Graphene-ultrasmall silver nanoparticle interactions and their effect on electronic transport and Raman enhancement - F. Jimenez-Villacorta, E. Climent-Pascual, R. Ramirez-Jimenez, J. Sanchez-Marcos, C. Prieto, A. de Andres, Carbon 101, 305 (2016). SrMnO3 Thermochromic Behavior Governed by Size-Dependent Structural Distortions - IN. Gonzalez-Jimenez, E. Climent, A. Torres-Pardo, M. Hernando, AE. Sanchez-Pelaez, F. Fernandez-Martinez, MTF. Diaz, JM. Gonzalez-Calbet, A. de Andres, A. Varela, M. Parras, Inorg Chem 55, 3980 (2016). Hollow Iron Oxide Nanoparticles in Polymer Nanobeads as MRI Contrast Agents - NC. Bigall, E. Dilena, D. Dorfs, ML. Beoutis, G. Pugliese, C. Wilhelm, F. Gazeau, AA. Khan, AM. Bittner, MA. Garcia, M. Garcia-Hernandez, L. Manna, T. Pellegrino, J Phys Chem C 119, 6246 (2015). Elastic constants of graphene oxide few-layer films: correlations with interlayer stacking and bonding - RJJ. Rioboo, E. Climent-Pascual, X. Diez-Betriu, F. Jimenez-Villacorta, C. Prieto, A. de Andres, J Mater Chem C 3, 4868 (2015). Highly luminescent pure-red-emitting fluorinated beta-diketonate europium(III) complex for full solution-processed OLEDs - JP. Martins, P. Martin-Ramos, C. Coya, MR. Silva, MES. Eusebio, A. de Andres, AL. Alvarez, J. Martin-Gil, J Lumin 159, 17 (2015). Structural and Photoluminescence Study of Eu3+/TiO2 Xerogels as a Function of the Temperature Using Optical Techniques - M. Borlaf, MT. Colomer, R. Moreno, A. de Andres, J Am Ceram Soc 98, 338 (2015). Do tunneling states and boson peak persist or disappear in extremely stabilized glasses? - MA. Ramos, TP. Perez-Castaneda, RJ. Jimenez-Rioboo, C. Rodriguez-Tinoco, J. Rodriguez-Viejo, Low Temp Phys+ 41, 412 (2015). Large area graphene and graphene oxide patterning and nanographene fabrication by one-step lithography - E. Climent-Pascual, M. Garcia-Velez, AL. Alvarez, C. Coya, C. Munuera, X. Diez-Betriu, M. Garcia-Hernandez, A. de Andres, Carbon 90, 110 (2015). Indium-tin oxide thin films deposited at room temperature on glass and PET substrates: Optical and electrical properties variation with the H-2-Ar spu - L. Alvarez-Fraga, F. Jimenez-Villacorta, J. Sanchez-Marcos, A. de Andres, C. Prieto, Appl Surf Sci 344, 217 (2015). Lactate biosensor based on a bionanocomposite composed of titanium oxide nanoparticles, photocatalytically reduced graphene, and lactate oxidase - E. Casero, C. Alonso, MD. Petit-Dominguez, L. Vazquez, AM. Parra-Alfambra, P. Merino, S. Alvarez-Garcia, A. de Andres, E. Suarez, F. Pariente, E. Lorenzo, Microchim Acta 181, 79 (2014). Huge Photoresistance in Transparent and Conductive Indium Titanium Oxide Films Prepared by Electron Beam-Physical Vapor Deposition - Rocio Martinez-Morillas, Rafael Ramirez, Jorge Sanchez-Marcos, Emiliano Fonda, Alicia de Andres, Carlos Prieto, Acs Appl. Mater. Interfaces 6, 1781 (2014). Novel Mo-Si3N4 based selective coating for high temperature concentrating solar power applications - Eva. Cespedes, Men. Wirz, J. A. Sanchez-Garcia, L. Alvarez-Fraga, R. Escobar-Galindo, C. Prieto, Sol Energ Mat Sol C 122, 217 (2014). Two-Level Systems and Boson Peak Remain Stable in 110-Million-Year-Old Amber Glass - T. Perez-Castaneda, RJ. Jimenez-Rioboo, MA. Ramos, Phys Rev Lett 112, 165901 (2014). Phase Instability and Molecular Kinetics Provoked by Repeated Crossing of the Demixing Transition of PNIPAM Solutions. - Ralitsa Aleksandrova, Martine Philipp, Ulrich Muller, Rafael Jimenez Rioboo, Martin Ostermeyer, Roland Sanctuary, Peter Muller-Buschbaum, Jan K Kruger, Langmuir 30, 11792 (2014). Graphene-oxide stacking and defects in few-layer films: Impact of thermal and chemical reduction - X. Diez-Betriu, FJ. Mompeam, C. Munuera, J. Rubio-Zuazo, R. Menendez, GR. Castro, A. de Andres, Carbon 80, 40 (2014). Breakdown into nanoscale of graphene oxide: Confined hot spot atomic reduction and fragmentation - G. Goncalves, M. Vila, I. Bdikin, A. de Andres, N. Emami, RAS. Ferreira, LD. Carlos, J. Gracio, PAAP Marques, Scientific Reports 4, 6735 (2014). TiO2/Eu3+ Thin Films with High Photoluminescence Emission Prepared by Electrophoretic Deposition from Nanoparticulate Sols - M. Borlaf, MT. Colomer, A. de Andres, F. Cabello, R. Serna, R. Moreno, Eur J Inorg Chem , 5152 (2014). Highly efficient electroluminescence in sapphire and magnesia - R. Ramirez-Jimenez, M. Tardio, JE. Munoz-Santiuste, A. de Andres, J Lumin 153, 291 (2014). Advanced Permanent Magnetic Materials - F. Jimenez-Villacorta, LH. Lewis, Nato Adv Sci Inst Se , 160 (2014). dEvidence of Oxygen Ferromagnetism in ZnO Based Materials - C. Guglieri, E. Cespedes, A. Espinosa, MA. Laguna-Marco, N. Carmona, Y. Takeda, T. Okane, T. Nakamura, M. Garcia-Hernandez, MA. Garcia, J. Chaboy, Adv Funct Mater 24, 2094 (2014). Appl Phys Lett 112, 051905 (2018). The elastic constants of high-quality, single-crystal hexagonal boron nitride (h-BN) have been measured by means of high resolution Brillouin spectroscopy using a modified reflected light microscope. The sound propagation velocity in the c-axis direction and perpendicular to the c-axis have been obtained from the Brillouin frequency shift, with a proper account taken of the vast difference between the ordinary and extraordinary refractive indices recently reported in the highly anisotropic layered h-BN crystal. The elastic constants c(11) and c(33) obtained from the Brillouin experiments are somewhat lower than previous determinations based on inelastic x-ray measurements and confirm the overestimation of the h-BN elastic constants by ab initio calculations based on density functional perturbation theory in the local density approximation. Published by AIP Publishing. J Alloy Compd 735, 2267 (2018). Er3+ doping of TiO2 colloidal nanocrystals enhances their performance for photo-induced applications. Such doping is known to delay the anatase to rutile transformation under thermal treatment; nonetheless relevant information on the Er3+ light emission and location within the TiO2 structures is still incomplete. Er3+ photoluminescence emission both in the visible (upconverted) and infrared photoluminescence is used for the first time to probe the ions location within the different TiO2 structures. The results show that Er3+ ions in the as-prepared xerogels are not embedded in the anatase crystallites, and only upon thermal treatment Er3+ diffusion is induced into crystal interstitial positions to form a solid solution. At higher temperatures rutile is formed inducing Er3+ segregation and giving rise to the formation of pyrochlore (Er2Ti2O7), as shown by a distinct emission in the infrared spectrum due to the Er3+ ions located within the pyrochlore compound. Although pyrochlore is usually a high temperature phase, analysis of the photoluminescence allows its labeling at temperatures as low as 600-700 degrees C for small Er3+ concentrations (1 mol %). Increasing Er3+ concentration promotes its enrichment at the nanocrystallites surface accomplished by the anatase-to-rutile phase transformation, suggesting that Er3+ ions control the TiO2 nanocrystals surface properties. (C) 2017 Elsevier B.V. All rights reserved. Sol Energ Mat Sol C 174, 50 (2018). The thermal stability in air of solar selective coatings based on the novel MoSi2-Si3N4 hybrid composite has been investigated here for the first time. Although thermal stability of solar absorbers is typically examined under vacuum, high temperature air stability is required for practical applications in concentration solar power (CSP) technologies: solar tower systems receivers operate in air and, on the other hand, air stability is highly preferred in parabolic trough collector systems due to occasionally undesired losses of vacuum conditions. In this work, the effect of different layers combination, prepared by sputtering, on the optical performance after high temperature annealing has been investigated. Two different standard substrates (stainless steel and Inconel) have been explored. It is shown that silver layer, typically used in SSC as IR reflector, strongly affects the stack thermal stability in air, leading to important degradation. For SSC stacks with the Inconel/MoSi2-Si3N4/Si3N4 structure (onto Inconel substrate), a good thermal stability in air is obtained, leading to just a slight variation of the absorptivity after air annealing at 600 degrees C, probably due to partial Si3N4 oxidation. Best optical performance is achieved for the Inconel substrate, using and additional Al2O3 barrier on top, comprising the stack the following structure: Inconel/MoSi2-Si3N4/Si3N4/Al2O3. This combination exhibits very good optical performance, even after annealing at 700 degrees C in air. The Performance Criterion (PC) according to the International Energy Agency, evaluated after successive air annealing cycles of 100 h at 600 degrees C, gets 0.02, which is considerably smaller than 0.05, fulfilling this material the PC for practical applications. Our results evidence that the MoSi2-Si3N4 absorber deposited onto Inconel substrate and capped with a Si3N4/Al2O3 layer on top (acting as antireflective and protective barrier) is a very promising selective coating for solar receivers operating in air at temperatures about 600 degrees C.
J Appl Crystallogr 51, 337 (2018). Thermoelectric materials are expected to become new alternative sources of sustainable energy. Among them, the SnSe intermetallic alloy has been described as an excellent thermoelectric compound, characterized by an extremely low thermal conductivity with maximum performance at the onset of a structural phase transition at 800K. Recently, novel SnSe derivatives with Ge substitution have been synthesized by a direct arc-melting technique. This produces nanostructured polycrystalline samples that exhibit a record high Seebeck coefficient, anticipating an excellent performance above room temperature. Here, the structural phase transition from a GeS-type structure (space group Pnma) to a TlI-type structure (space group Cmcm) is investigated in situ via neutron powder diffraction (NPD) in the temperature range 298-853K for the selected composition Sn0.8Ge0.2Se. This transition takes place at 803K, as shown by differential scanning calorimetry. The analysis from the NPD data shows a non-monotonic behaviour of the anisotropic displacement parameters upon entering the domain of the Cmcm structure. The energies of the atomic vibrations have been quantitatively analysed by fitting the temperature-dependent mean-square displacements to Einstein oscillators. The thermal conductivity of Sn0.8Ge0.2Se is as low as 0.35Wm(-1)K(-1) at 773K, which mostly represents the lattice thermal contribution. Acs Appl. Mater. Interfaces 9, 4119 (2017). The detection, identification, and quantification of different types of molecules and the optical imaging of, for example, cellular processes are important challenges. Here, we present how interference-enhanced Raman scattering (IERS) in adequately designed heterostructures can provide amplification factors relevant for both detection and imaging. Calculations demonstrate that the key factor is maximizing the absolute value of the refractive indices' difference between dielectric and metal layers. Accordingly, Si/Al/Al2O3/graphene heterostructures have been fabricated by optimizing the thickness and roughness and reaching enhancement values up to 700 for 488 nm excitation. The deviation from the calculated enhancement, 1200, is mainly due to reflectivity losses and roughness of the Al layer. The IERS platforms are also demonstrated to improve significantly the quality of white light images of graphene and are foreseen to be adequate to reveal the morphology of 2D and biological materials. A graphene top layer is adequate for most organic molecule deposition and often quenches possible fluorescence, permitting Raman signal detection, which, for a rhodamine 6G (R6G) monolayer, presents a gain of 400. Without graphene, the nonquenched R6G fluorescence is similarly amplified. The wavelength dependence of the involved refractive indices predicts much higher amplification (around 10(4)) for NIR excitation. These interference platforms can therefore be used to gain contrast and intensity in white light, Raman, and fluorescence imaging. We also demonstrate that surface-enhanced Raman scattering and IERS amplifications can be efficiently combined, leading to a gain of >10(5) (at 488 nm) by depositing a Ag nanostructured transparent film on the IERS platform. When the plasmonic structures deposited on the IERS platforms are optimized, single molecule detection can be actively envisaged. J Non-cryst Solids 473, 125 (2017). The substitution of nitrogen for oxygen in phosphate glasses improves the chemical, thermal and mechanical properties and particularly reduces their very high hygroscopic character, although the preparation of homogeneous and free of defects oxynitride bulk phosphate glasses through ammonolysis represents a big challenge. This work reports on the synthesis and properties of a series of Nd-doped oxynitride phosphate glasses with composition Na0.3K0.3Ba0.2PO3-3/2Nx that may find application as laser hosts. Whereas the glass transition temperature, elastic modulus and index of refraction show a regular increase with the nitrogen content that agrees with previous studies, the effect of nitrogen onto the luminescence of Nd3+ ions appears to be more complicated. The average lifetime of the decay from the F-4(3/2) level decreases with the N/P ratio of the glasses, which is thought to be mainly due to the presence of water from the ammonolysis reaction. However, further thermal treatments under N-2 flow of an oxynitride glass have shown an important reduction of the water content as well as a drastic increase of the luminescence lifetime of Nd3+, this being a promising method for the development of laser phosphate glasses having good chemical and mechanical properties. Spinodal decomposition (SD) processes have proved effective for the synthesis of macro-and mesoporous materials. Despite the theoretical aspects of SD processes are well understood, finding the proper experimental conditions - both the components as well as the ratio in which they have to be combined - to attain co-continuous structures is a non-predictable and quite tedious process, typically based on trial and error. The challenge is finding a "tool" capable to predict the suitability of a particular starting solution to undergo SD processes. Here in, we used aqueous solutions of deep eutectic solvents (DESs) for the preparation via SD of co-continuous porous carbons, the morphologies of which ranged from spinodal to aggregates-of-particles-like just depending on dilution. Despite the starting DES/H2O binary mixture was macroscopically homogeneous, Brillouin spectroscopy revealed the occurrence of certain nanostructural rearrangements within a dilution range that coincided with that used for preparation of carbons with morphologies transitioning from spinodal to aggregates-of-particles-like. Moreover, carbons exhibited a noticeable degree of heteroatom co-doping - e.g. N and P - and proved particularly effective for CO2 capture with adsorptions of up to 4.7 mmol/g at 0 degrees C and 760 mbar. (C) 2017 Elsevier Ltd. All rights reserved. Phys Chem Chem Phys 19, 17103 (2017). Deep eutectic solvents (DESs) offer a suitable alternative to conventional solvents in terms of both performance and cost-effectiveness. Some DESs also offer certain green features, the greenness of which is notoriously enhanced when combined with water. Aqueous DES dilutions are therefore attracting great attention as a novel green medium for biotechnological processes, with the aqueous dilutions of reline a DES composed of urea and choline chloride -being one of the most studied systems. Despite their macroscopic homogeneous appearance, both H-1 NMR spectroscopic studies and molecular dynamics simulations have revealed the occurrence of certain dynamic heterogeneity at a microscopic molecular level. Ultrasonic measurements were also used with the aim of getting further insights but nonconclusive results were obtained. Herein, we have studied aqueous reline dilutions by Brillouin spectroscopy given its proved suitability for detecting local structure rearrangements in liquid mixtures of H-bonded co-solvents. Brillouin spectroscopy revealed the formation of a co-continuous structure resulting from local structure rearrangements and micro-segregation into aqueous and DES phases. Interestingly, there is agreement between H-1 NMR and Brillouin spectroscopy when pointing to the DES content where microphase segregation and formation of co-continuous structures occurred. J Sol-gel Sci Techn 81, 355 (2017). The non-equilibrium beta-Bi2O3 polymorph is stabilized in thin films by a photochemical synthesis method. A strong ultraviolet-absorbing bismuth(III)-N-methyldiethanolamine complex is synthesized in solution as an ideal precursor for the beta-Bi2O3 phase. 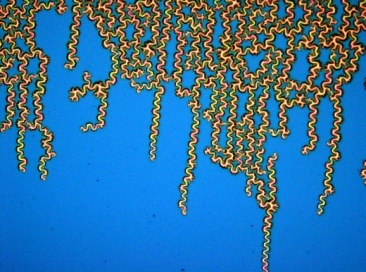 Ultraviolet-light induces the formation of an amorphous -Bi-O-Bi- continuous network in the films deposited from the former solution that easily converts into the beta-Bi2O3 polymorph at a temperature as low as 250 A degrees C. The room temperature stabilization of the beta-Bi2O3 phase is confirmed by their structural characterization using four-circle X-ray diffractometry. This study unequivocally identified the tetragonal crystal structure of the beta-Bi2O3 polymorph in the films. The high phase purity of these beta-Bi2O3 films is responsible for their exceptional visible-light photocatalytic activity, thus enabling the applications of the films of this metastable phase at room-temperature conditions. Appl Phys Lett 111, 181602 (2017). The fabrication of atomically smooth metal films on supporting oxides is a quite demanding task, since most physical vapor deposition methods used on metals do not work properly on oxide substrates. Here, we report an alternative procedure, based on performing laser polishing of a fused silica substrate before depositing the metallic thin film. This reduces the RMS surface roughness of fused silica by ca. 33%, and increases the maximum grain size of the metallic film from 200 nm to 1200 nm. The method has been applied to a fused silica parabolic lens, which has been coated with a graphene-terminated Ru thin film. The reduction of surface roughness caused by laser polishing leads to the formation of ultrasmooth Ru thin films. Crystallinity and subnanometer roughness of the metal coating are demonstrated by the observation of He diffraction from a macroscopically curved surface. Published by AIP Publishing. J Mater Chem C 5, 10260 (2017). Graphene is grown by chemical vapour deposition on ruthenium ultrathin films down to a nominal thickness of 5 nm. While at 910 degrees C multilayer graphitic films are obtained, single layer defective graphene is formed at 1000 degrees C. The extremely thin Ru films allow the formation of a novel nano-crystalline ruthenium carbide phase to be discerned by combining synchrotron X-ray diffraction, synchrotron X-ray absorption spectroscopy and electron diffraction. The ruthenium carbide (Ru-C) phase formed at or above 1000 degrees C presents cubic symmetry (cP) with a lattice parameter of 2.927 angstrom and a Ru-C distance of around 2.31 angstrom. The increase of C solubility in ruthenium seems to be sufficient to trigger the stabilization of the Ru-C phase during graphene growth preferentially in grains with orientation different to (0001). The structural transition from hcp Ru to cP Ru-C is not limited to a shell; it occurs for the whole grain. The formation of the carbide seems to favour the synthesis of single layer graphene by hindering the segregation of carbon to the surface during cooling. This simple method allows nano-crystalline ruthenium-carbide films to be obtained as well as graphene covered Ru nanograins, both with size control. These new materials are foreseen to present interesting mechanical, catalytic and sensing properties. Ceram Int 43, 10840 (2017). The effect of the Tb3+ doping content (in the range 0-100 mol%) on the structure (using Raman spectroscopy) and photoluminescence (PL) properties of both rhabdophane-type La1-xTbxPO4 center dot nH(2)O and monazite (-)type La1-xTbxPO4 single-crystal nanorods was investigated. La1-xTbxPO4 center dot nH(2)O was directly obtained by microwave assisted hydrothermal synthesis and La1-xTbxPO4 by calcination of La1-xTbxPO4 center dot nH(2)O at 700 degrees C in air for 2 h. It was found that the characteristic Raman bands shift to higher wavenumbers and become broader with increasing Tb3+ concentration, which is attributed to attendant unit-cell volume reduction. The PL due to the Tb3+ f-f transitions has been studied with continuous and pulsed excitations. The PL intensity increases with doping and is maximum for La0.80Tb0.20PO4 center dot nH(2)O and La0.85Tb0.15PO4, i.e.,for rhabdophane and monazite type structures, respectively. A quenching effect is detected for concentrations below x=0.05, but constant efficiency is obtained at higher doping. The calcination increases the efficiency by a factor around 2 due to the combined effects of water molecules and defect elimination. The PL decay curves reveal a long lifetime attributable to single Tb3+ ions which is almost independent of doping for monazite nanorods (5-4.5 ms), and a shorter one around 0.2 ms most likely due to Tb3+ dimmers. J Alloy Compd 710, 151 (2017). Layered cobaltite Ca3Co4O9 is one of the most interesting materials for energy conversion due to its excellent thermoelectric properties and stability at high temperatures. However, the best performance of this material is achieved for single crystals and epitaxial films. Within this framework, an important role is played by the substrate, which should promote epitaxial growth and that should have suitable thermal properties for its integration in devices. In this work, we report on the preparation of epitaxial thin films of Ca3Co4O9 by sputtering using low cost ceramic target on cubic yttria-stabilized zirconia (YSZ(100)) that is typically the standard for low thermal conductivity material and on hexagonal sapphire (Al2O3(0001)). The quality of the epitaxial films and its microstructure has been studied to explain the thermoelectric properties obtained for both substrates. YSZ(100) substrate provides Ca3Co4O9 films with enhanced Seebeck coefficient and Al2O3(0001) allows improved conductive Ca3Co4O9 films that finally, at 200 degrees C, results in a substrate-modified Z'T figure of merit one order of magnitude higher for Ca3Co4O9 on YSZ(100) than on Al2O3(0001) substrate. (C) 2017 Elsevier B.V. All rights reserved. Chem Mater 29, 3257 (2017). The oxidation and corrosion of copper are fundamental issues studied for many decades due to their ubiquitous and transversal impact. However, the oxidation of copper used as catalyst for graphene synthesis has opened a singular problem not yet solved. Contradictory results are reported about the protecting or enhancing role of graphene in copper oxidation. We study short- and long-term oxidation of copper with different characteristics, such as oxygen content and morphology, with and without graphene, and in polycrystalline copper foils and almost totally textured (100) and (111) copper films on MgO and sapphire substrates, respectively. We propose a mechanism to explain the enhanced oxidation of polycrystalline copper originated by oxygen encapsulated by the graphene impermeable layer during graphene growth. The initial oxygen content and the existence of grain boundaries are the main factors that determine the relevance of this process. Graphene is shown to prevent oxidation from the atmosphere for any of the copper substrates but also promotes slow oxidation derived by the release of out-of-equilibrium encapsulated oxygen. The formation of bubbles after several months evidence this slow release. The occluded oxygen in graphene covered copper is demonstrated by comparing the oxygen to copper ratio at different depths using hard X-ray photoelectron spectroscopy for samples with and without graphene. Appl Phys Lett 111, 083902 (2017). Thermoelectric CoSb3-delta skutterudite was synthesized and sintered in one step under high-pressure conditions at 3.5 GPa in a piston-cylinder hydrostatic press. Structural analysis carried out from synchrotron x-ray powder diffraction data reveals a significant Sb deficiency in this material. The introduction of point defects in the form of Sb vacancies distributed at random in the structure leads to an impressive reduction (> 50%) of the total thermal conductivity, kappa, which is one of the main ingredients of good thermoelectric materials. This suggests phonon scattering effects originated in the Sb defects, which drives to a better improvement in kappa than that achieved by the conventional strategy of filling the cages of the skutterudite structure with rare earths or other heavy cations. In parallel, changes in the electronic band structure caused by point variation of the stoichiometry produce an undesired increment in the electrical resistivity. Nevertheless, the low thermal conductivity combined with a high Seebeck coefficient (-434 mu VK-1 at 500 K) originates a relatively large figure of merit (ZT = 0.12 at 550 K) for CoSb2.90(2). (C) 2017 Author(s). Scientific Reports 7, 6277 (2017). Sb-doped Bi2Te3 is known since the 1950s as the best thermoelectric material for near-room temperature operation. Improvements in material performance are expected from nanostructuring procedures. We present a straightforward and fast method to synthesize already nanostructured pellets that show an enhanced ZT due to a remarkably low thermal conductivity and unusually high Seebeck coefficient for a nominal composition optimized for arc-melting: Bi0.35Sb1.65Te3. We provide a detailed structural analysis of the Bi2-xSbxTe3 series (0 <= x <= 2) based on neutron powder diffraction as a function of composition and temperature that reveals the important role played by atomic vibrations. Arc-melting produces layered platelets with less than 50 nm-thick sheets. The low thermal conductivity is attributed to the phonon scattering at the grain boundaries of the nanosheets. This is a fast and cost-effective production method of highly efficient thermoelectric materials. Nanoscale Res Lett 12, 47 (2017). In competitive thermoelectric devices for energy conversion and generation, high-efficiency materials of both ntype and p-type are required. For this, Bi2Te3-based alloys have the best thermoelectric properties in room temperature applications. Partial replacement of tellurium by selenium is expected to introduce new donor states in the band gap, which would alter electrical conductivity and thermopower. We report on the preparation of n-type Bi-2(Te1-xSex)(3) solid solutions by a straightforward arc-melting technique, yielding nanostructured polycrystalline pellets. X-ray and neutron powder diffraction was used to assess Se inclusion, also indicating that the interactions between quintuple layers constituting this material are weakened upon Se doping, while the covalency of intralayer bonds is augmented. Moreover, scanning electron microscopy shows large surfaces perpendicular to the c crystallographic axis assembled as stacked sheets. Grain boundaries related to this 2D nanostructuration affect the thermal conductivity reducing it below 0.8 Wm(-1)K(-1) at room temperature. Furthermore, Se doping increases the absolute Seebeck coefficient up to -140 mu V K-1 at 400 K, which is also beneficial for improved thermoelectric efficiency. Appl Phys Express 9, 061001 (2016). The modulation of electrical and Raman properties of ultrafine (~4 nm) Ag nanoparticle/graphene/SiO2 hybrid material at low coverage is evaluated with gradual nanoparticle incorporation by the gas aggregation deposition technique. The different contributing factors, such as doping, impurity scattering or strain, are assessed. Incorporation of Ag nanoparticles produce a very efficient n-type doping of graphene (~7.5 e- per particle) maintaining a constant mobility for particle coverage below ~0.3 monolayers. Doping efficiency is determined by the probability for nanoparticles to be deposited in contact with graphene. The Fermi level upshift is modeled within the charged impurity scattering mechanism in the whole coverage range. A crossover to the regime where impurity scattering dominates is evidenced at large particle concentration. Surface-enhanced Raman scattering is detected in graphene phonons in the limit of vanishing plasmon resonance and very low coverage (~0.08) that correspond to ~1500 nanoparticles at the laser spot. Small distortions of the graphene lattice (~0.012 %) induced by the nanoparticles overcome the predicted changes in Raman phonons related to carrier doping and originate I2D/IG damping. This evolution of physical properties with gradual incorporation of Ag nanoparticles is anticipated to provide valuable hints to tune the optical and electronic performance of these graphene-based hybrid systems. J Hazard Mater 308, 343 (2016). The adsorption of copper on passive biomonitors (devitalized mosses Hypnum sp., Sphagnum denticulatum, Pseudoscleropodium purum and Brachythecium rutabulum) was studied under different experimental conditions such as a function of pH and Cu concentration in solution. Cu assimilation by living Physcomitrella patents was also investigated. Molecular structure of surface adsorbed and incorporated Cu was studied by X-ray Absorption Spectroscopy (XAS). Devitalized mosses exhibited the universal adsorption pattern of Cu as a function of pH, with a total binding sites number 0.05-0.06 mmolgdryâˆ’1 and a maximal adsorption capacity of 0.93â€“1.25 mmolgdryâˆ’1 for these devitalized species. The Extended X-ray Absorption Fine Structure (EXAFS) fit of the first neighbor demonstrated that for all studied mosses there are âˆ¼4.5 O/N atoms around Cu at âˆ¼1.95 Ã… likely in a pseudo-square geometry. The X-ray Absorption Near Edge Structure (XANES) analysis demonstrated that Cu(II)-cellulose (representing carboxylate groups) and Cu(II)-phosphate are the main moss surface binding moieties, and the percentage of these sites varies as a function of solution pH. P. patens exposed during one month to Cu2+ yielded âˆ¼20% of Cu(I) in the form of Cu-S(CN) complexes, suggesting metabolically-controlled reduction of adsorbed and assimilated Cu2+. Cryst Growth Des 16, 1480 (2016). The Na+-Yb+ (or Er3+) co-substitution of Ca2+ in Ca(3)Nb(1. )5Ga(3.5)O(12) (CNGG) laser crystal is studied. In contrast to other garnets whose structural disorder is exclusively based on the presence of differently sized cations on the same crystal sites, Na+ incorporated in the dodecahedral site (a site also shared by Ca2+ and trivalent lanthanides) creates diverse electric charge distributions over the dodecahedral sublattice, which adds to the disorder associated with Nb5+ and Ga3+ simultaneous occupation of the octahedral and tetrahedral sites. The currently determined cationic compositions of Czochralski grown congruent CNGG and Na-modified CNGG crystals show that Na+ incorporation reduces the cationic vacancy concentration on dodecahedral and octahedral sites but does not affect that in tetrahedral sites. Physical properties of interest for laser design (optical transmission, elastic constants, hardness, specific heat, thermal conductivity, thermal expansion, refractive index dispersion, group velocity dispersion, and thermo optic coefficients) have been systematically determined at cryogenic temperatures and above room temperature. Na+ incorporation into CNGG decreases the crystal growth temperature, promotes Yb3+ doping, and importantly, increases the Yb3+ optical bandwidth, offering good prospects for the implementation of ultrashort pulses in mode-locked laser oscillators. Rsc Advances 6, 21235 (2016). We report a new method to produce high-quality, transparent graphene/sapphire samples, using Cu as a catalyst. The starting point is a high-quality graphene layer prepared by CVD on Cu(111)/Al2O3. Graphene on sapphire is obtained in situ by evaporation of the Cu film in UHV. He-diffraction, atomic force microscopy (AFM), Raman spectroscopy and optical transmission have been used to assess the quality of graphene in a metal free area. We used helium atom scattering as a sensitive probe of the crystallinity of the graphene on sapphire. The observation of high reflectivity and clear diffraction peaks demonstrates the presence of flat and homogeneous graphene domains over lateral scales of microns, consistent with the AFM results. Surprisingly, putting graphene on sapphire improves the quality of the He-diffraction spectra. Graphene forms a moirÃ© pattern with a (11 Ã— 11) periodicity, aligned with the (1 Ã— 1) sapphire unit cell. The lattice constant of graphene on sapphire is a = (2.44 Â± 0.02) Ã…. The phonon dispersion of the graphene flexural mode has been measured. This allowed the determination of the bending rigidity k = 0.61 Â± 0.15 eV, and the grapheneâ€“sapphire coupling strength g = (5.8 Â± 0.4) Ã— 1019 N mâˆ’3. The uniformity of the graphene has also been investigated by Raman mapping. Judging by the ratio of the 2D to G peaks, the quality of the graphene is not degraded by Cu removal. The high transparency (80%) measured in the visible range makes this system suitable for many applications that require hybrid properties commonly associated with metals (conductivity) and insulators (transparency). Our study shows that He-diffraction and Raman provide crucial information on quite different, complementary aspects of the same samples. Stable Graphene/gas/Cu bubbles are formed by the spontaneous oxidation at room conditions of the Cu substrates used as the catalyst agent in chemical vapor deposition growth of graphene. The non homogeneous copper oxidation produces discontinuous Cu2O films where atmospheric molecules get trapped by the impermeable graphene layer forming bubbles. Raman Interference effects are calculated both for graphene and Cu2O phonons in graphene/Cu2O/Cu system using the transfer matrix method finding that Cu2O thickness is limited to 20 nm and maximum Raman enhancement of graphene is 10. Nevertheless, enhancement values up to 60 are detected for micrometric graphene bubbles on copper which, according to the simulations, are 70 nm height. AFM measurements confirm the bubble dimensions and show that they are mechanically softer than graphene on copper. Consistently, the Raman characteristics of the graphene bubbles coincide with free standing undoped graphene with small strain, in the range 0–0.3%, while graphene on Cu2O presents hole doping and larger strain fields. The simulations indicate that interference Raman enhancement can reach values >104 in graphene/dielectric/Aluminum trilayers (dielectric = gas, oxide or polymer). These systems are therefore interesting platforms for optical sensing where graphene is the adequate bio-compatible layer for metallic nanoparticles and molecules deposition. Do two-level systems and boson peak persist or vanish in hyperaged geological glasses of amber? Philos Mag 96, 774 (2016). In this work, we extend, review and jointly discuss earlier experiments conducted by us in hyperaged geological glasses, either in Dominican amber (20 million years old) or in Spanish amber from El Soplao (110 million years old). After characterization of their thermodynamic and elastic properties (using Differential Scanning Calorimetry around the glass-transition temperature, and measuring mass density and sound velocity), their specific heat was measured at low and very low temperatures. By directly comparing pristine amber samples (i.e. highly stabilized polymer glasses after ageing for millions of years) to the same samples after being totally or partially rejuvenated, we have found that the two most prominent universal "anomalous" low-temperature properties of glasses, namely the tunnelling two-level systems and the so-called "boson peak", persist essentially unchanged in both types of hyperaged geological glasses. Therefore, non-Debye low-energy excitations of glasses appear to be robust, intrinsic properties of non-crystalline solids which do not vanish by accessing to very deep states in the potential energy landscape. Phys Rev B 94, 014313 (2016). It is shown that direct information from surface acoustic waves (SAWs) of bulk transparent materials can be obtained by using Brillouin light scattering (BLS). The study of surface phonons by means of an optical spectroscopy such as BLS has been historically constrained to nontransparent and highly reflecting bulk and film samples or even to very thin films deposited on reflecting substrates. 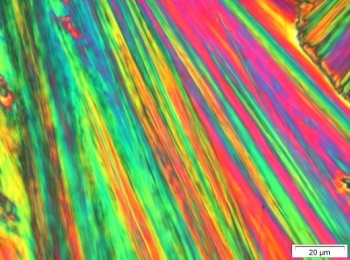 Probably due to its low signal and to the narrow window in experimental conditions, it was assumed for years that bulk transparent samples were not suited for Brillouin spectroscopy in order to get information on SAWs, negating this optical technique in the search for SAW properties. The reported experiments on transparent glasses and single crystals (cubic MgO and trigonal sapphire) prove that there is no intrinsic physical reason not to collect SAW propagation velocity data from transparent bulk samples and opens a challenge to apply the Brillouin spectroscopy in a wider scenario to obtain direct information, in a nondestructive and contactless way, about SAWs in bulk materials. Scientific Reports 6, 39561 (2016). The potential of UV-light for the photochemical synthesis and stabilization of non-equilibrium crystalline phases in thin films is demonstrated for the beta-Bi2O3 polymorph. The pure beta-Bi2O3 phase is thermodynamically stable at high temperature (450-667 degrees C), which limits its applications in devices. Here, a tailored UV-absorbing bismuth(III)-N-methyldiethanolamine complex is selected as an ideal precursor for this phase, in order to induce under UV-light the formation of a -Bi-O-Bi- continuous network in the deposited layers and the further conversion into the beta-Bi2O3 polymorph at a temperature as low as 250 degrees C. The stabilization of the beta-Bi2O3 films is confirmed by their conductivity behavior and a thorough characterization of their crystal structure. This is also supported by their remarkable photocatalytic activity. Besides, this processing method has allowed us for the first time the preparation of beta-Bi2O3 films on flexible plastic substrates, which opens new opportunities for using these materials in potential applications not available until now (e.g., flexible photocatalytic reactors, self-cleaning surfaces or wearable antimicrobial fabrics). Therefore, photochemical solution deposition (PCSD) demonstrates to be not only an efficient approach for the low temperature processing of oxide films, but also an excellent alternative for the stabilization of metastable phases. The modulation of electrical and Raman properties of ultrafine (similar to 4 nm) Ag nanoparticle/graphene/SiO2 hybrid material at low coverage is evaluated with gradual nanoparticle incorporation by the gas aggregation deposition technique. The different contributing factors, such as doping, impurity scattering or strain, are assessed. Incorporation of Ag nanoparticles produce a very efficient n-type doping of graphene (similar to 7.5 e(-) per particle) maintaining a constant mobility for particle coverage below similar to 0.3 monolayers. Doping efficiency is determined by the probability for nanoparticles to be deposited in contact with graphene. The Fermi level upshift is modeled within the charged impurity scattering mechanism in the whole coverage range. A crossover to the regime where impurity scattering dominates is evidenced at large particle concentration. Surface-enhanced Raman scattering is detected in graphene phonons in the limit of vanishing plasmon resonance and very low coverage (similar to 0.08) that correspond to similar to 1500 nanoparticles at the laser spot. Small distortions of the graphene lattice (+/- 0.012%) induced by the nanoparticles overcome the predicted changes in Raman phonons related to carrier doping and originate I-2D/I-G damping. This evolution of physical properties with gradual incorporation of Ag nanoparticles is anticipated to provide valuable hints to tune the optical and electronic performance of these graphene-based hybrid systems. (C) 2016 Elsevier Ltd. All rights reserved. Inorg Chem 55, 3980 (2016). The influence of particle size in both the structure and thermochromic behavior of 4H-SrMnO3 related perovskite is described. Microsized SrMnO3 suffers a structural transition from hexagonal (P6(3)/mmc) to orthorhombic (C222(1)) symmetry at temperature close to 340 K. The orthorhombic distortion is due to the tilting of the corner-sharing Mn2O9 units building the 4H structural type. When temperature decreases, the distortion becomes sharper reaching its maximal degree at similar to 125 K. These structural changes promote the modification of the electronic structure of orthorhombic SrMnO3 phase originating the observed color change. nano-SrMnO3 adopts the ideal 4H hexagonal structure at room temperature, the orthorhombic distortion being only detected at temperature below 170 K. A decrease in the orthorhombic distortion degree, compared to that observed in the microsample, may be the reason why a color change is not observed at low temperature (77 K). J Phys Chem C 119, 6246 (2015). Magnetic nanobeads are synthesized by coprecipitation of hollow iron oxide nanoparticles and an amphiphilic polymer. The resulting nanobeads can be tuned in diameter and nanoparticle content. X-ray absorption near-edge structure (XANES) spectroscopy and superconducting quantum interferometer device (SQUID) characterization of the nanobeads reveal that they exhibit an increased effective magnetic anisotropy as compared to the individual nanoparticles, despite that no structural changes of the particles had occurred during the embedding process into the polymer. The spinspin relaxation times of the pristine hollow nanoparticles and of the final magnetic nanobeads reveal a high R-2 relaxivity of 206 s(-1) mM(-1) for the magnetic nanobeads. This result should enable their application as negative contrast enhancing agents in magnetic resonance imaging. J Mater Chem C 3, 4868 (2015). We propose a strategy to study the elastic properties of extremely thin graphene oxide (GO) films using Brillouin spectroscopy. The dependence of the surface acoustic wave of a gold capping layer on the structural, chemical and morphological changes occurring to the underneath GO film with temperature is reported and analyzed. At room temperature the shear constant c(44) is similar to 17 GPa and hardens up to 28 GPa at 100 degrees C due to the partial elimination of embedded water layers and to interlayer distance shrinking. At 200 degrees C the almost complete elimination of water induces layer stacking disorder, further GO-GO distance reduction and a significant increase of all elastic constants. The in-plane constants harden due to the partial restoration of the sp(2) C network (c(11): from 268 to 620 GPa) and the out of plane constants harden due to the H bonds that now directly connect the neighbouring GO layers (c(44) approximate to 80 GPa). The obtained Young's moduli are significantly higher than those reported for GO paper because the ultra-thin GO films are highly ordered and there is no macroscopic applied strain during the measurement. The results obtained here are associated with the intrinsic properties of GO as in-plane and inter-layer bonding. J Lumin 159, 17 (2015). Current manufacturing technologies for OLEDs involve the use of expensive high vacuum techniques and call for thermal stability requirements which are not fulfilled by many materials. These problems disappear when the OLED films are deposited directly from solution. In this study, we have designed, synthesized and characterized a novel octacoordinated complex, Tris(1-(4-chlorophenyl)-4,4,4-trifluoro-1,3-butanedionate)mono(bathophenanthroline) europium(III), to be used as a "complex-only" emissive layer in wet-processed OLEDs. Upon excitation in the UV region, very efficient energy transfer from the ligands to Eu3+ takes place, giving rise to intense red emission with very high monochromaticity (R=19), both in powder and as a thin film. The decay times of 754 mu s (powder) and 620 mu s (thin film) are comparable to those of the most efficient Eu3+ beta-diketonate complexes reported to date. The same energy transfer leading to saturated red and narrow emission is also observed in the OLED device (glass/ ITO/PEDOT:PSS/[Eu(cbtfa)(3)(bath)]/Ca/Al) when biased at >5.2 V. Its high quantum efficiency (similar to 6%), good thermal stability up to 200 degrees C and adequate thin film forming properties make this material a promising chromophore for cost-effective OLEDs. (C) 2014 Elsevier B.V. All rights reserved. J Am Ceram Soc 98, 338 (2015). Eu3+/TiO2 xerogels have been obtained from colloidal sols by drying at room conditions. 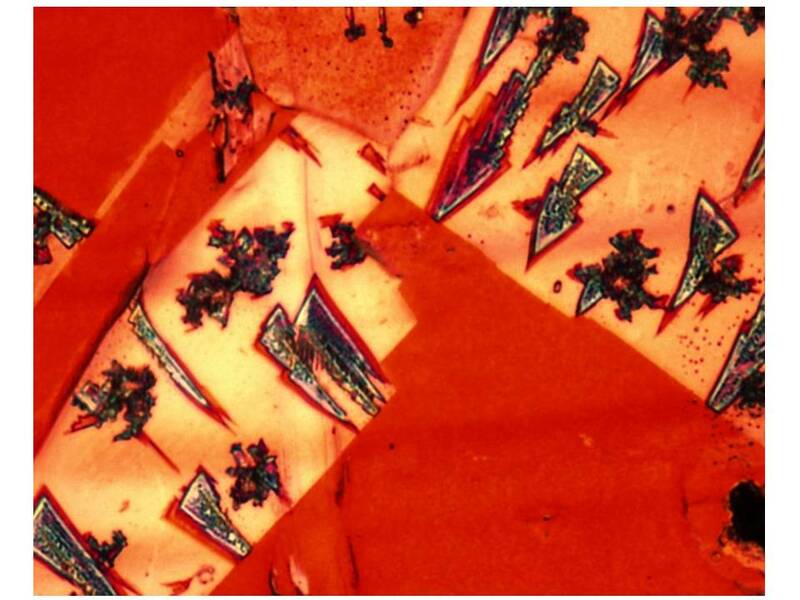 Anatase with traces of brookite phases are obtained from the synthesis and the stability of both with temperature is higher (from 400 degrees C up to 800 degrees C) when Eu3+ is present. Raman phonons have been used to detect the different phases and follow the structural transitions. The observed changes with calcination temperature of anatase modes (E-g,E-1,E- B-1g,(1) A(g)/B-1g,B-2,B- and E-g,E-3) are found to be mainly related to the grain size. The anatase grain size increases more and at lower temperatures for undoped than for Eu3+-doped samples favoring the transition to rutile. The stability of the brookite phase is also influenced by the doping being higher in the doped xerogels (700 degrees C) than in the undoped ones (400 degrees C). No concentration quenching of the f-f Eu3+ emission bands is observed up to 3% Eu3+ at low temperatures but the maximum emission is found at lower temperatures for higher Eu3+ content may be due to quenching related to Eu3+ migration. The narrower f-f emission bands of the as-prepared samples are consistent with the presence of Eu3+ ions at the surface with a weak interaction with the TiO2 nanoparticles. A diffusion process of Eu3+ ions occurs during calcination from the surface to different positions of the anatase lattice close to the surface producing an inhomogeneous broadening. Finally, the formation of the pyrochlore phase Eu2Ti2O7 is detected which explains the decrease on the emission efficiency and the increase of the Eu3+ environment symmetry. Do tunneling states and boson peak persist or disappear in extremely stabilized glasses? Low Temp Phys+ 41, 412 (2015). We review and concurrently discuss two recent works conducted by us, which apparently give opposite results. Specifically, we have investigated how extreme thermal histories in glasses can affect their universal properties at low temperatures, by studying: (i) amber, the fossilized natural resin, which is a glass which has experienced a hyperaging process for about one hundred million years; and (ii) ultrastable thin-film glasses of indomethacin. Specific heat C-p measurements in the temperature range 0.07K < T < 30K showed that the amount of two-level systems, assessed from the linear term at the lowest temperatures, was exactly the same for the pristine hyperaged amber glass as for the subsequently rejuvenated samples, whereas just a modest increase of the boson-peak height (in C-p/T-3) with increasing rejuvenation was observed, related to a corresponding increase of the Debye coefficient. On the other hand, we have observed an unexpected suppression of the twolevel systems in the ultrastable glass of indomethacin, whereas conventionally prepared thin films of the same material exhibit the usual linear term in the specific heat below 1K ascribed to these universal two-level systems in glasses. By comparing both highly-stable kinds of glass, we conclude that the disappearance of the tunneling two-level systems in ultrastable thin films of indomethacin may be due to the quasi-2D and anisotropic behavior of this glass, what could support the idea of a phonon-mediated interaction between two-level systems. (C) 2015 AIP Publishing LLC. A cheap and green technology based on electro-erosion, performed at room conditions and scalable to large area (cm(2)) is demonstrated for structuring graphene and graphene oxide films on any substrate. 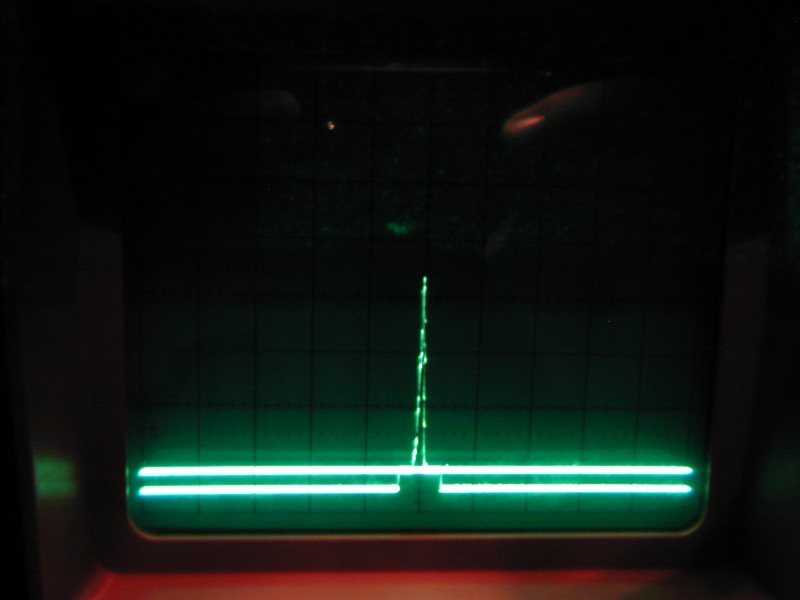 This one-step technique based on electrical discharges produced by a direct current voltage source competes favorably with laser patterning. The threshold voltage for complete graphene elimination as determined by Raman mapping is around 20 V. At low relative humidity conditions (30%) the transformation to graphene oxide is also detected for operating voltages above 40 V, the oxidation being probably mediated by the residual adsorbed water at the surface. We also show the close correlation of atomic force microscopy (AFM) phase images with the modified graphene characteristics while AFM topographic images are dominated by extrinsic aspects. The use of a spring probe relaxes the requirement of precision for the tip-sample distance and sample flatness to around 10 inn which is very convenient for large scale applications. Furthermore, this technique allows the formation of high quality nanographene, with size around 18 nm, and graphene micro-ribbon lattices in a very fast way and very well defined edges, with dimensions down to 1 mu m width and mm length, very promising for terahertz graphene plasmonic applications. (C) 2015 Elsevier Ltd. All rights reserved. Appl Surf Sci 344, 217 (2015). The optical and electrical properties of indium tin oxide (ITO) films deposited at room temperature on glass and polyethylene terephthalate (PET) substrates were investigated. A clear evolution of optical transparency and sheet resistance with the content of H-2 in the gas mixture of H-2 and Ar during magnetron sputtering deposition is observed. An optimized performance of the transparent conductive properties ITO films on PET was achieved for samples prepared using H-2/(Ar + H-2) ratio in the range of 0.3-0.6%. Moreover, flexible ITO-PET samples show a better transparent conductive figure of merit, Phi(TC) = T-10/R-S, than their glass counterparts. These results provide valuable insight into the room temperature fabrication and development of transparent conductive ITO-based flexible devices. (C) 2015 Elsevier B.V. All rights reserved. Microchim Acta 181, 79 (2014). We have developed a lactate biosensor based on a bionanocomposite (BNC) composed of titanium dioxide nanoparticles (TiO2-NPs), photocatalytically reduced graphene, and lactate oxidase. Graphene oxide was photochemically reduced (without using any chemical reagents) in the presence of TiO2-NPs to give graphene nanosheets that were characterized by atomic force microscopy, Raman and X-ray photoelectron spectroscopy. The results show the nanosheets to possess few oxygen functionalities only and to be decorated with TiO2-NPs. These nanosheets typically are at least 1 mu m long and have a thickness of 4.2 nm. A BNC was obtained by mixing lactate oxidase with the nanosheets and immobilized on the surface of a glassy carbon electrode. The resulting biosensor was applied to the determination of lactate. Compared to a sensor without TiO2-NPs, the sensor exhibits higher sensitivity (6.0 mu A mM(-1)), a better detection limit (0.6 mu M), a wider linear response (2.0 mu M to 0.40 mM), and better reproducibility (3.2 %). Acs Appl. Mater. Interfaces 6, 1781 (2014). Transparent and conductive indium titanium oxide (ITiO) films have been obtained by electron beam physical vapour deposition with Ti content from 5 at % up to 28 at %. X-ray absorption spectroscopy techniques have been used to identify the local environment of Ti ions. Even at the lowest concentrations Ti is not incorporated into the In2O3 structure but forms clusters of a Ti-In mixed oxide that present a distorted ruffle TiO2 short-range order. The optical transmittance of the annealed samples reaches 95 % and no significant variation of the gap energy (around 3.7 eV) is observed with Ti content. The electronic conductivity under light irradiation is studied evidencing a huge photo-resistance in the samples with Ti content above 22 at % reaching more than two orders of magnitude for the 26 at % Ti under illumination with few mu W/cm(2) at 365 nm. Hall and conductivity results are analyzed using a model that takes into account both electron and hole carriers as well as the conductivity enhancement by carrier photogeneration. The electron carrier density decreases with Ti content while its mobility increases up to values of 1000 cm(2)/(V s). Oxygen annealed ITiO films obtained by this technique with Ti content below 10 at % have properties adequate as transparent semiconductors and those with Ti content higher than 22 at % have exceptional photoresistive properties relevant for numerous applications. Sol Energ Mat Sol C 122, 217 (2014). A novel selective coating material based on Mo-Si3N4 has been investigated for the first time. Accurate combination of the individual component layers based on optical simulations and precise control of layers thickness and composition leads to high solar absorptivity (alpha(Sol)=0.926) and low thermal emissivity (epsilon 25 c=0.017) on a silver film, resulting in a high solar thermal energy conversion efficiency. The tandem absorber is stable in moderate vacuum at temperatures above 600 degrees C showing low emissivity (estimated value at 600 degrees C is epsilon(600) c=0.109) evidencing its relevance for high temperature solar selective applications. A full optical and thermal analysis of a parabolic trough concentrator (PTC) system confirmed the potential of the novel coating material to be used for CSP technology. Crown Copyright (C) 2013 Published by Elsevier B.V. All rights reserved. Phys Rev Lett 112, 165901 (2014). The two most prominent and ubiquitous features of glasses at low temperatures, namely the presence of tunneling two-level systems and the so-called boson peak in the reduced vibrational density of states, are shown to persist essentially unchanged in highly stabilized glasses, contrary to what was usually envisaged. Specifically, we have measured the specific heat of 110 million-year-old amber samples from El Soplao (Spain), both at very low temperatures and around the glass transition T-g. In particular, the amount of two-level systems, assessed at the lowest temperatures, was surprisingly found to be exactly the same for the pristine hyperaged amber as for the, subsequently, partially and fully rejuvenated samples. Phase Instability and Molecular Kinetics Provoked by Repeated Crossing of the Demixing Transition of PNIPAM Solutions. The demixing process of aqueous poly(N-isopropylacrylamide) (PNIPAM) solutions can occur either via a nucleation and growth process or via spinodal decomposition. The ensuing self-assembly, leading to heterogeneous morphologies within the PNIPAM solution, is codetermined by kinetic processes caused by molecular transport. By subjecting PNIPAM solutions to cyclic changes in temperature leading to repeated crossing of the demixing transition, we are able to assess the importance of kinetics as well as of overheating and supercooling of the phase transition within the metastable range delimited by the binodal and spinodal lines. First indications about the location of these stability limits for the low- and high-temperature phases, separated by about 1.6 K, could be gained by detailed kinetic studies of the refractive index. These investigations are made possible due to the novel technique of temperature-modulated optical refractometry. The stacking modes of graphene oxide monolayers (GO) when forming thin films is a crucial aspect determining many properties especially those related with transport. Stacking, morphology and effects of thermal and chemical reduction are studied combining in-situ synchrotron radiation diffraction and atomic force microscopy with simulations. The GO flakes mimic the substrate morphology and present an almost perfect stacking for few-layer films (2-10 layers) when in-plane flake size is large enough. The interlayer distance is found to be 1 nm irrespective of the film thickness and drastic discontinuities upon thermal annealing are observed between 100 and 200 degrees C. Moreover, the short GO-GO distance (0.38 nm) observed at temperatures (500 degrees C) where oxygen content is still high indicates that stacking is mainly governed by embedded water molecules. The large interlayer distance (0.76 nm) in chemically reduced films and its robustness against thermal annealing are due to the folding of the edges of the flakes occurring upon the elimination of the functional groups. The central part of the flakes remains extremely flat contrary to what occurs with thermal reduction. These structural defects induced by chemical and thermal reduction processes are very probably the most important limitations for electrical conductivity in GO based electrodes. (C) 2014 Elsevier Ltd. All rights reserved. Scientific Reports 4, 6735 (2014). Nano-graphene oxide (nano-GO) is a new class of carbon based materials being proposed for biomedical applications due to its small size, intrinsic optical properties, large specific surface area, and easy to functionalize. To fully exploit nano-GO properties, a reproducible method for its production is of utmost importance. Herein we report, the study of the sequential fracture of GO sheets onto nano-GO with controllable lateral width, by a simple, and reproducible method based on a mechanism that we describe as a confined hot spot atomic fragmentation/reduction of GO promoted by ultrasonication. The chemical and structural changes on GO structure during the breakage were monitored by XPS, FTIR, Raman and HRTEM. We found that GO sheets starts breaking from the defects region and in a second phase through the disruption of carbon bonds while still maintaining crystalline carbon domains. The breaking of GO is accompanied by its own reduction, essentially by the elimination of carboxylic and carbonyl functional groups. Photoluminescence and photothermal studies using this nano-GO are also presented highlighting the potential of this nanomaterial as a unique imaging/therapy platform. Eur J Inorg Chem , 5152 (2014). The light emission properties of anatase TiO2/Eu3+ thin films prepared by electrophoretic deposition and of the corresponding precursor nanoparticulate sols and xerogels with different Eu3+ contents are reported. Transparent anatase TiO2 thin films were successfully obtained by electrophoretic deposition after dilution of the original sols with ethanol in order to inhibit the water hydrolysis and facilitate the drying process. The topography of the films shows a high homogeneous distribution in terms of grain size and roughness of the surface of the thin films. The film thickness varied from 50 nm to 800 nm and it was found to be strongly dependent on the Eu3+ content of the sols, probably because of uncompensated electrical charges provided by Eu3+ ions located at the surface of the nanoparticles. A spontaneous densification of the films occurs at a thickness above 400 nm and, concomitantly, a significant increase of the Eu3+ emission efficiency is detected. J Lumin 153, 291 (2014). Electroluminescence (EL) has been obtained and studied in two different wide band gap oxide crystals: MgO:Li (7.8 eV) and Al2O3:Mg (8.8 eV). EL requires crystal doping with Li or Mg to induce p-type conductivity and the formation of F-type centers which are the deep levels within the band gap for electron hole recombination. Oxidizing treatments are required in Al2O3:Mg to reach adequate conductivities. The main EL emissions are at 2.35 eV (528 nm) for MgO:Li crystals and at 3.8 eV (327 nm) for Al2O3:Mg. Trace impurities also produce EL in the visible region, their control may be used for color designed LEDs. (C) 2014 Elsevier B.V. All rights reserved. Nato Adv Sci Inst Se , 160 (2014). Permanent, or hard, magnets deliver high magnetic flux combined with high stability against demagnetization. These properties render them essential in modern life: they are key components in efficient motors and electric machines and are integral in energy harvesting and conversion, power generation, sensors and in a plethora of automation-based devices. Permanent magnets are also highlighted as paradigmatic examples of the close relationship between basic research industry and technological implementation, as basic research advances may be directly transitioned to realization of better magnets with enhanced technical performance. Throughout the 20th century, researchers have achieved advances (sometimes disruptive, sometimes just incremental) in diversification and improvement of candidates for numerous permanent magnetic applications. However, earlier researchers did not have the analytical probes and tools that are available today. In the last few years, recent insights derived from advanced tools, design of nanostructured magnets with controlled average crystallite size and orientation, optimized intergranular phase character and directed engineering of intrinsic features via atomic substitution will foster the realization of new materials that may be processed into the next generation of advanced permanent magnets. This chapter is organized as follows: in the first section, concepts and tools utilized by researchers to develop, tailor and enhance the performance of permanent magnetic materials are presented; in the second section, an up-to-date report of materials synthesized and processed in diverse manners for development of the next generation of permanent magnets is described, with special attention devoted to technical achievements obtained on nanostructured magnets. Adv Funct Mater 24, 2094 (2014). Discoveries of room-temperature ferromagnetism (RTFM) in semiconductors hold great promise in future spintronics technologies. Unfortunately, this ferromagnetism remains poorly understood and the debate concerning the nature, carrier-mediated versus defect-mediated, of this ferromagnetism in semiconducting oxides is still open. Here, by using X-ray absorption (XAS) and X-ray magnetic circular dichroism (XMCD), it is demonstrated that the oxygen ions have a ferromagnetic response in different ZnO-based compounds showing RTFM behavior: ZnO nanoparticles capped with organic molecules and ZnO/ZnS heterostructures. These results demonstrate the intrinsic occurrence of RTFM in these systems, and point out that it is not related to the metallic cation but it relays on the conduction band of the semiconductor.